Chuck Lanehart uncovers the origin story of Temple Houston in this week’s Caprock Chronicles. 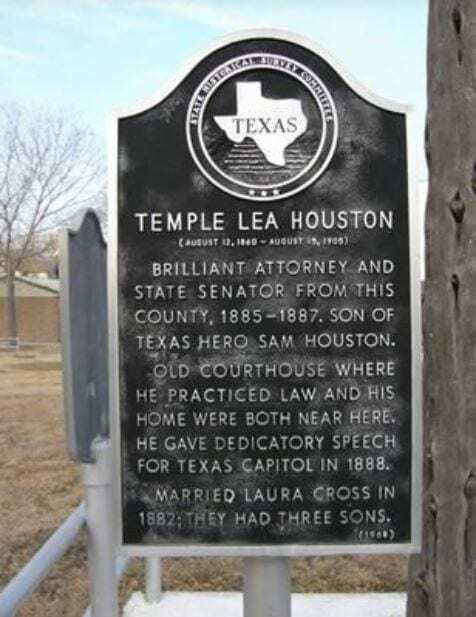 Famous by name at an early age, the son of Sam Houston became the youngest licensed lawyer in Texas in 1880. Moving out to the Panhandle, Temple transformed into the legendary “prairie dog lawyer” defending pioneers in Texas and Oklahoma of crimes. Learn more about Temple’s life, courtroom antics and cases in the Lubbock Avalanche Journal.